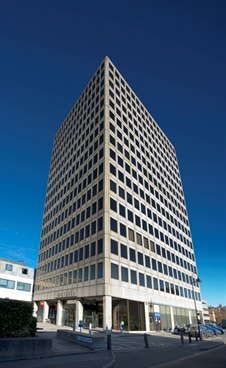 On behalf of CLS Holdings, Cattaneo Commercial have secured a letting of the entire 12th Floor at CI Tower, St George's Square, New Malden, Surrey KT3 4HG, which comprises a floor area of approximately 5,370 sq ft.
CISIV Limited have taken a new FR&I lease for a term of 10 years at a rent of £27.50 per sq ft, which is a new record figure for New Malden. The floor had been comprehensively refurbished by CLS and offered impressive open plan, air conditioned office space with far reaching views over the surrounding area, and good on-site parking. Further refurbished offices will be available during the course of 2017. For more information contact Andy Armiger on 020 8546 2166.